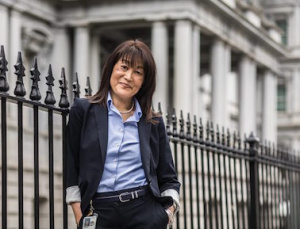 Linda Otani McKinney is the Deputy Associate Director in the Department of Justice’s Office of International Affairs. Prior to that she was the Assistant United States Attorney. She earned her undergraduate degree in humanities and Japanese from Brigham Young University and went on to earn her JD degree from Georgetown University Law Center. She was a law clerk to the Honorable George Herbert Goodrich at the District of Columbia Superior Courthouse. As a member of The Church of Jesus Christ of Latter-day Saints, the Washington Post asked her to demonstrate “How to pray like a Mormon” for the National Day of Prayer in May 2015. This page was last edited on 28 June 2017, at 15:55.